A 10K race is 10 kilometers long, which is the equivalent of 6.2 miles. Because the 10K is considered a shorter road race, it's popular among novice runners as well as advanced runners who like to have short-term goals. They've already run a 5K and want to challenge themselves even more. They eventually want to run a half-marathon but want to try a shorter distance first. They're training for a half-marathon or marathon and want to evaluate their fitness level. They want to beat their personal record. What's Involved in Training for and Running a 10K Race? For beginner runners, the 10K distance can seem intimidating. But the training is not that different than training for a 5K. However, finding a 10K race is not as easy as finding a 5K race. You may be able to find only one or two a year in your local area. But some runners pick one 10K that they run every year and enjoy seeing if they can improve their time each year. Run/Walk 10K Training Schedule: This 10-week 10K training program is designed for beginner run/walkers who want to run/walk a 10K race (6.2 miles). Even if you're not training for a 10K, this program will help you build up to run/walking for more than 60 minutes. The program assumes that you can already run/walk (at 1 min/1 min run/walk intervals) for 20 minutes. 10K Training Schedule for Beginners: This eight-week training schedule is designed for beginner runners who want to get to the finish line of a 10K race. It assumes that you can already run at least two miles. If you've never run before, follow this step-by-step plan for building a running base before you start with the 10K schedule. 4-Week Beginner 10K Training Schedule: This 4-week schedule is for beginner runners who have a month to get ready for their 10K. You should be able to run up to 3 miles to start this schedule. 6-Week Beginner 10K Training Schedule: To start this 6-week training program, you should be active a couple days a week and can run up to two miles. 10K Training Schedule for Advanced Beginners: This eight-week schedule is geared toward runners who can run three miles and can run 4 to 5 days per week. You may have never run a 10K before, but you're looking for a schedule that's a little more challenging than the 10K Beginner Schedule. 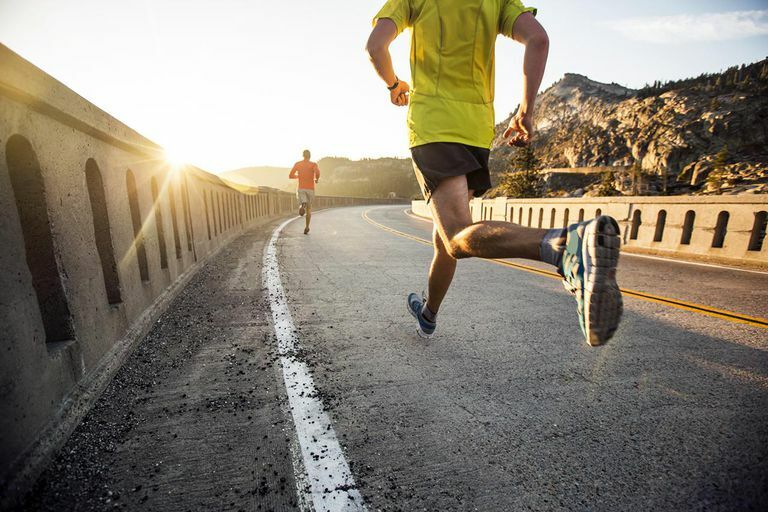 10K Training Schedule for Intermediate Runners: If you've run at least one 10K road race and you're hoping to improve your time, you'll definitely need to add speed training to your training regimen, if you haven't already. This eight-week training schedule is designed to help you run your fastest 10K. 4-Week Intermediate 10K Training Schedule: This 4-week training program is designed for runners who have previous race experience and are looking to improve their 10K time. You should be able to comfortably run up to 5 miles to start this program. 6-Week Intermediate 10K Training Schedule: This 6-week training program is for runners with previous race experience who are looking to improve their 10K time. You should be able to comfortably run up to 4 miles to start this program. 10K Training Schedule for Advanced Runners: This eight-week training schedule is designed for advanced runners who can run up to 6 miles comfortably and can run 5 days a week. Racing Etiquette: If you're new to running in road races, you may not be familiar with some of the rules -- both stated and unwritten. To avoid annoying fellow runners (and prevent looking like a newbie), be sure to follow these etiquette guidelines when participating in races. How to Predict Your 10K Time: Wondering how long it might take you to run a 10K? Here's how to estimate your 10K time. What's a Good Time for a 10K? : Wondering what's considered a good time for a 10K race? Here's how to find out how your time compares to other runners. Tips for Your First 10K: If you're brand-new to 10K racing, get some tips to help calm your nerves and help you feel prepared for race day. Should I Run the Day Before my Race? : Are you nervous about your 10K starting line? Review these 10 things to do before the race starts to make sure you are ready on your big race day. Race Day Tips for Your First Road Race: As your race day approaches, you may have some questions and concerns about what to expect on race day. If you're fairly new to running, here are some tips for your first race day. Common Racing Mistakes: Making mistakes during road races is very common, especially if you're new to road racing. Here are some of the most common racing mistakes and how you can avoid them. How to Take Water from Hydration Stops: Successfully running through the water stops in a road race is a common fear among new runners. But if you know what to expect and how to take and drink the water, you'll look like a pro as you run through the water stops.